State Farm knows being a good neighbor is about more than just being there when things go completely wrong. It's also about being there for all of life's moments when things go perfectly right. At Meredith Peeler State Farm Insurance Agent, we are here to help with over 35 years of combined insurance experience. 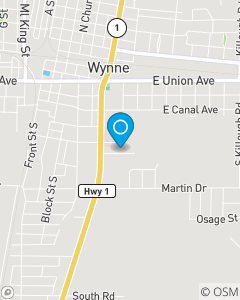 We strive to serve in the Wynne, Cherry Valley, Parkin and Earle areas. Call me or get your free insurance quote online today.